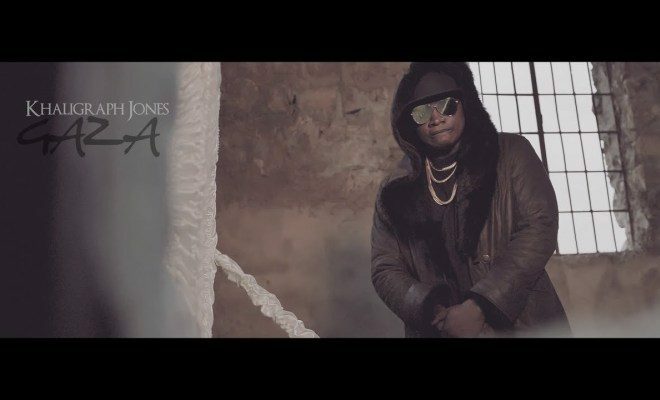 Khaligraph Jones Out to Get ‘Hessy Wa Kayole’ in new song – Kenyatta University TV (KUTV). All Rights Reserved. As controversial as they sound, one cannot miss his creativity as he sends a powerful message against crime. The song is about a dialogue between a dead gang member and one who is still in the game. The gang member seeks to bring out and finish Hessy to avenge his fallen colleague’s death. The deceased one in turn rationalises with the other gang member, urging him to quit the thug life lest he ends up dead as well. Both roles are played by Khaligraph Jones. Khaligraph had intended to release the song a few weeks earlier, only to be forced to postpone it due to controversies surrounding it. There were concerns about ‘Gaza’. This was because of the increased cases of the gang members being killed by Hessy. Comments from viewers applauded Khaligraph for the deep song and resonated with the message from the hash tag #StopTheViolence.